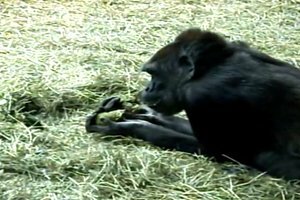 Animals have evolved over millennia and their physical, physiological and behavioural traits are specifically adapted to their natural habitat. However, life in captivity differs substantially from life in the wild. Space, social interactions, diet, climate, presence of humans and many more aspects of their life may be completely alien compared to what they would encounter in the wild. 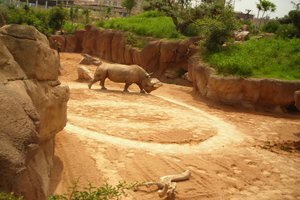 Captive animals cannot choose their environment, or carry out behaviours necessary to enhance their welfare or survival. 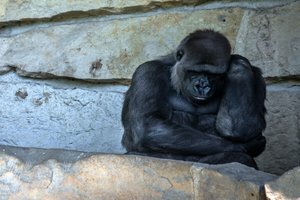 Rather than having a safe and easy life in captivity, animals may face a number of challenges which evolution has not prepared them for. 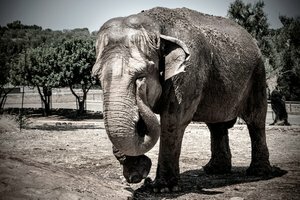 If the captive environment does not fully cater for the species-specific needs of an animal, or if it imposes unnatural stress or frustration, there can be a deterioration in the animal’s physical and mental health. This may manifest in the development of physical disease or abnormal behaviour. 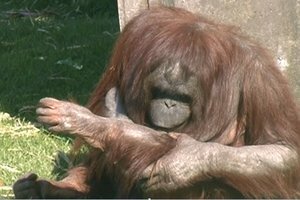 Abnormal behaviour in captive animals can include stereotypic behaviours – highly repetitive, invariant, functionless behaviour, such as repetitive pacing, swaying, head-bobbing, bar-biting, over-grooming or excessive licking. These behaviours result from “the frustration of natural behaviour patterns, impaired brain function, or repeated attempts to deal with some problem” (Mason, 2005). Continuous walking back and forth or in a circle, following the same path. Signs of regular pacing include definite paths worn in the ground. Seen in many captive animals, especially big cats and canids (for example, wolves). The continual licking, sucking or biting of walls, bars or gates in an enclosure. Often seen in giraffe and primates. Unnatural twisting and rolling of the neck, often flicking the head around or bending the neck back. It is often combined with pacing behaviour. Seen in, for example, giraffe, llama, bears and primates. Standing in one place swaying the head and shoulders – even the whole body – from side to side. Moving the head up and down, or weaving to and fro continuously. Seen in, for example, bears and elephants. Sitting, sometimes hugging the legs, rocking forwards and backwards. Seen in, for example, captive ape species. Self-inflicted physical harm such as biting or chewing tail or leg, or hitting a head against a wall. Grooming to an excessive extent, pulling out hair or feathers, often leaving bald patches, irritated and broken skin. Seen in, for example, apes, bears, parrots and big cats. A form of bulimia, the repeated vomiting, eating of vomit and regurgitation. May be linked to the captive diet. Seen in, for example, captive ape species. 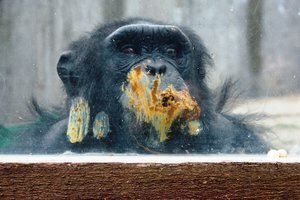 Playing with and eating excrement (in species that do not naturally do this) or smearing faeces on enclosure walls and glass. Seen in, for example, captive primate species. 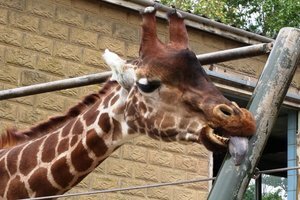 In 1992, Bill Travers MBE, Co-Founder of Born Free, first coined the term zoochosis to describe this obsessive, repetitive behaviour, and described zoo animals behaving abnormally as zoochotic. 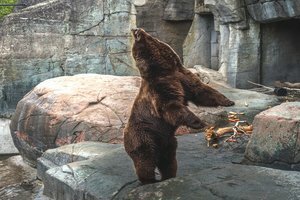 Born Free’s Zoochotic Report video, using more than three years of video observations in over 100 zoos in Europe, North America and the Far East, raised serious concerns about the effects of captivity on wild animals. This investigation helped form the philosophies of our charity and our animal welfare objectives.